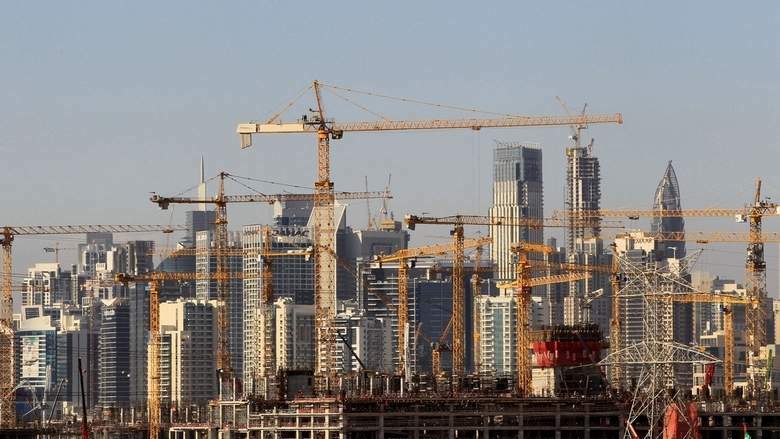 Construction activity in the UAE and GCC is projected to remain strong, thanks to a heavy pipeline of 27,000 planned projects worth $2.38 trillion (Dh8.734 trillion) across the Gulf region, according to industry analysts and executives. Data by the BNC Projects Journal disclosed that the UAE and Saudi Arabia accounted for more than two-thirds – at $1.61 trillion (Dh5.9 trillion) – of total planned projects by 2018-end. Last year, around $77.6 billion (Dh284.8 billion) worth of contracts were awarded as compared to $88.8 billion (Dh325.9 billion) in the previous year, a drop of 13 per cent, across the region. As per the BNC Projects Journal, the decline is due to an exceptionally large number of projects that were seen in prior years were driven by Expo 2020 Dubai. Avin Gidwani, CEO, BNC Network, said increased earnings from high oil prices during the early part of 2018 supported the commitment for economic stimuli during the year and 2019 bumper budgets released by the UAE and Saudi Arabia confirm the continued commitment towards revitalising the region’s economy. As per the January edition of the BNC Projects Journal, contract awards in the GCC in 2019 are expected to increase for utility, industrial and oil and gas projects but may continue to decline for urban construction. “The increased spending is driven by the UAE and KSA’s bumper budgets, Adnoc’s 2030 Integrated Strategy and KSA’s Vision 2030,” Gidwani added. The top 3 sectors with the most value of contract awarded in 2018 were residential and commercial ($24.1 billion), transport ($13.1 billion) and oil and gas in region. With projects worth $43 billion currently in tender, the utility sector is expected to outperform the other sectors in terms of project awards in 2019 while residential and commercial sector will remain in the top 3 – even with the decline. There are currently over 15,000 projects in the UAE estimated at $791 billion, including an estimated $202.8 billion of projects in concept, design and tender stages, positioning the UAE with the second largest project pipeline after Saudi Arabia’s $827.4 billion pipeline. According to the BNC Projects Journal, $38.9 billion worth of contracts were awarded in the UAE last year, a drop of 9 per cent compared to 2017. “The UAE enters 2019 determined to kick the economy back into gear, with the announcement of it $16.3 billion budget which is 17.3 per cent larger than last year and the largest budget in the country’s history,” Gidwani added. It said there are around 18 pavilion projects for Expo 2020 Dubai currently in the concept (7) design (9) and tender (2) phases that are expected to be awarded. These include pavilion projects for Austria, Poland, France, South Africa, India, Thailand, Spain, China, USA, Japan, UK, Nigeria, Oman, Brazil, Bahamas, Sweden and one Opportunity pavilion. Atif Rahman, director and partner of Danube Properties, said outlook for the construction – particularly for the short term – is good as most contractors are busy finishing the existing contracts and projects. “The real estate sector worldwide might sometime come under slight pressure in the short term, however in the long term you also make handsome gains. We believe, the market has the ability to absorb the growing supplies and in the next one year or two these properties will be absorbed with growth in demand prior to the Expo 2020,” Rahman said. But the long term outlook, according to Rahman, depends on the overall global economic growth, oil price and new investment in infrastructure and job creation. “New demand in construction projects will help the sector. The large developers and the public sector spending on housing and infrastructure could help the construction sector and the construction materials sector’s growth. Precast demand is on rise due to its efficiency in achieving faster construction,” Rao said. Danube’s Atif Rahman said infrastructure, industries, housing and logistics will continue to drive growth of the construction in the UAE. Citing an example, he said Al Maktoum Airport, Union Railway and Hyperloop are some of the major infrastructure – in addition to regular real estate and hospitality projects – will drive the growth. The Journal data showed that urban construction contributes 45 per cent of planned and ongoing work in the GCC and is valued at $1.08 trillion. While GCC hospitality projects market is estimated at $144.6 billion, 13 per cent of all urban construction projects in the region. The value of planned and ongoing oil and gas projects grew by 11 per cent over the course of the year to $373 billion at the end of 2018, up from $334 billion in 2017. While transport projects, according to BNC Journal, worth $300 billion are either planned or ongoing in the GCC region registering a 10 per cent year-on-year growth. “With a strong pipeline of projects worth $156.8 billion, the transport sector is expected to witness large contract awards in the year ahead,” it added.